We are pleased to announce the addition of a new employee, Lee Bailey, who joins us effective today as a sales engineer covering the territory of Washington DC and Northern Virginia. As we continue to invest and grow sales for our Principals in the Maryland, Virginia and DC area we felt it was important to add an experienced sales person to continue to penetrate the account base in the region. Lee will be working closely with Tony Rand, and Jim Welch over the next two months to transition the customer base in DC and Northern Virginia to Lee. The SMA team will also be working very closely with Lee to assist him as he gains more knowledge and experience on the full product portfolio and solutions that we offer our customers. Lee joins us from his previous role in sales as a Sales Engineer at Geil Marketing in Virginia. Lee has extensive sales experience and knowledge that will serve him very well in working with customers to determine the right solutions for their needs. 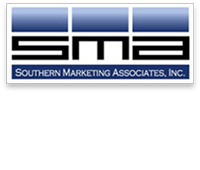 We look forward to Lee bringing his extensive years of sales experience to SMA to continue to grow the market share in Northern Virginia and Washington DC while working diligently to be known as the solutions provider of choice to our customers.